A little over a century later, another man went on a jaguar hunt, this time in the Peruvian Amazon. His name was Celsor and he believed an elderly hunter from a village downstream had turned into the big cat when he died. As Emma Marris reported for National Geographic, Celsor shot the jaguar through the heart with a bow and arrow, then burned its body to ensure the man’s dangerous spirit would not return. To Celsor, the hunt was urgent. The jaguar had killed dogs and chickens; a villager could be next. To Roosevelt, killing the jaguar was sport. It affirmed his masculinity. While he called himself the ‘conservationist president’, his view of the jaguar was rooted in prejudice, not science. Celsor’s spiritual beliefs, meanwhile, have a surprising link to ecology. Such differences of perspective determine whether people kill jaguars wantonly or out of necessity. For a species being nudged to the edge of extinction, the way people think matters. But the jaguars of the mind are always evolving. 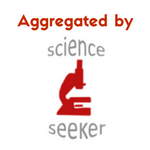 And, as new research shows, when money enters the picture, opinions can soon shift. The jaguar is the largest predator in the lands it roams. It once thrived across much of South America, all of Central America, and into the southwestern United States, but hunting and deforestation have slashed its numbers and range. To Roosevelt, the jaguar was a pest, a malevolent predator of livestock. He was an ardent naturalist but also a macho man, for whom loving nature meant controlling it, hunting it and showing off the trophies. While he promoted efforts to conserve game such as deer and elk, he saw their predators as cowardly yet vicious killing machines. Roosevelt’s framing of jaguars as “savage”, “dangerous”, and “man-eaters” served to rationalize his violence towards them, says Sharon Wilcox of the Center for Culture, History, and Environment at the University of Wisconsin-Madison. In a new study, she contrasts Roosevelt’s portrayal of the jaguar with that of two other influential American writers of the early 20th century: Ernest Thompson Seton and Aldo Leopold. She charts a marked evolution. Seton, who wrote dozens of books about wildlife between 1868 and 1945, said he aimed to “present a more pleasing conception of the jaguar than the established picture of it as a monster of unmitigated and bloody ferocity.” He wanted to show instead “the animal’s human side”. Wilcox says Seton’s writing “marked the beginning of an inclusive, non-anthropocentric environmental ethos that recognised the negative impacts of short-sighted, progress-driven, human-oriented management on the landscape”. Roosevelt was enraged. He said Seton and other writers undermined the scientific credibility of natural history with their prose, which bestowed animals with human-like intent and admirable qualities such as heroism, intelligence, and loyalty. He called them “nature fakers”. One of Roosevelt’s targets, William J. Long, fired back in an open letter: “I find after carefully reading two of his big books that every time he gets near the heart of a wild thing he invariably puts a bullet through it.” Long said Roosevelt took delight in “whooping through the woods killing everything in sight”. The malign jaguar that prowled Roosevelt’s pages had evolved into another animal altogether by the time Leopold recorded the decline of the species. Leopald saw that predators have intrinsic value, and that when they disappear their functions too are lost. Wilcox says that, by showing nature without centring it on human needs, he helped usher in a new era of eco-centric conservation. It was a huge shift from Roosevelt’s anthropocentrism. But even this transformation feels small when compared to the perspectives of people living further south, for whom the boundary between humans and jaguars is not fixed. In some places, the ability to transform into a jaguar is seen as a sign of spiritual power, as among the Baniwa people of the northwest Amazon. By contrast, says Shepard, the Matsigenka people who live in the Peruvian Amazon are afraid of turning into jaguars. They believe that some elderly people begin changing into jaguars at night, a process that culminates in full transformation when they die. Shepard realized the Matsigenka beliefs in ‘were-jaguars’ had roots in ecology when he saw skulls of jaguars that villagers had killed. In most, the teeth were extremely worn or rotten, or missing altogether. Shepard surmised that the jaguars into which the Matsigenka say old and infirm people transform are themselves old. They would struggle to take a peccary or tapir, but would find a village child easy meat. But Roosevelt was an outsider in the jaguar’s realm. Eco-centrism was alien to him. He was of European heritage and Judaeo-Christian thinking, which framed the wilderness as a threat that must be tamed. But the cowardice and malevolent violence with which Roosevelt falsely painted jaguars might have easily been a self-portrait. The jaguar he killed in 1913 had taken refuge up a tree from a pack of “yelling and howling” hunting dogs, having been chased through a swamp by five men on horseback. Roosevelt slew it with his favourite rifle, “with which I have killed most kinds of African game, from the lion and elephant down.” He said it fell from the tree like a sack of sand. Roosevelt’s views are passé now, thanks in part to writers like Seton and Leopold, who changed public attitudes towards predatory animals. Today, people will travel long distances and pay large sums in the hope of seeing a wild jaguar, not shooting one. But one problem that concerned Roosevelt — predation of livestock — remains a reality for ranchers in the Pantanal region of Brazil where he shot his jaguar. In a study published in July 2017, however, ecologist Fernando Tortato and colleagues showed that jaguars in this landscape bring in 56 times more in ecotourist dollars than they cost ranchers when they prey on their cattle. They say a small tourist levy could compensate ranchers for their losses, enabling jaguars and livestock to coexist, and that tourists are willing to pay. And so the jaguars of the mind continue to evolve, in this case into animals worth more alive than dead. Whether cast as violent killers or noble beasts, as ghosts or money-makers, they are always shifting into new forms, reflecting changes in how we think about the world about us. It seems that whoever looks into a jaguar’s eyes finds something of themselves looking back. Image credits: Jaguar attacking a tapir—Wikimedia Commons; Jaguar headshot — Pascal Blachier / Wikimedia Commons; Jaguar warrior painted on a mural at Cacaxtla, Mexico more than one thousand years ago—Wikimedia Commons; Theodore Roosevelt poses with the jaguar he shot in 1913— The American Museum journal / Wikimedia Commons; Ecotourist photographing jaguar—Fernando Tortato/Panthera. 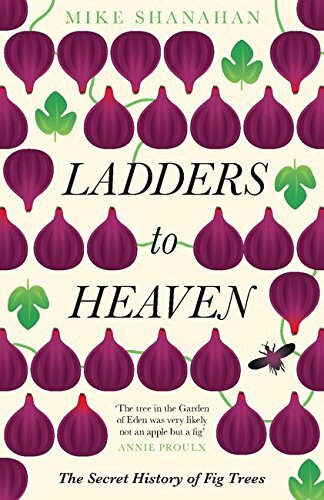 I am the author of 'Ladders To Heaven: How fig trees shaped our history, fed our imaginations and can enrich our future' (Unbound, 2016). 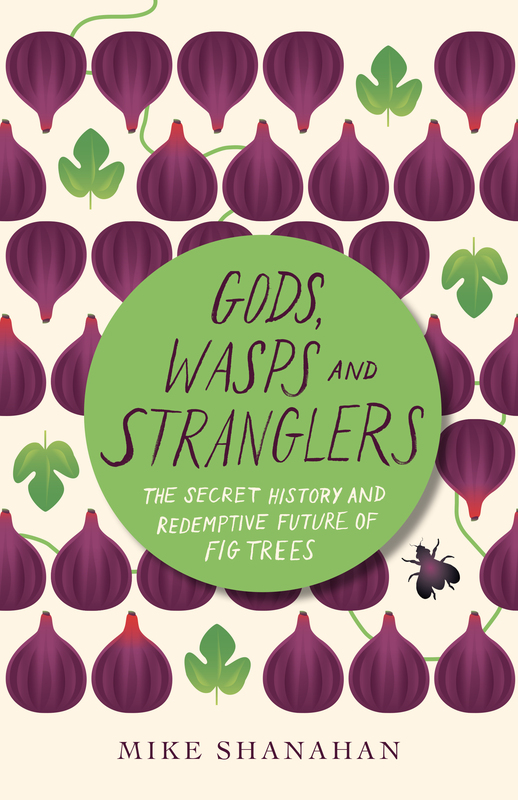 My book was published in the US and Canada as 'Gods, Wasps, and Stranglers: The Secret History and Redemptive Future of Fig Trees' (Chelsea Green, 2016). Read a summary and advance praise from: Annie Proulx, Deborah Blum, Michael Pollan, Sy Montgomery, Simran Sethi, David George Haskell and others. Why are so many strangler figs home to ghosts and goblins?